Patachou is a patisserie, which has been serving wonderful classic French pastries for over 20 years. The Rosedale locale has moved across the road and is located in a newly renovated space, which has a nice and contemporary atmosphere. Their second store which opened last summer is located on St. Clair West. I decided to write about this Toronto pastry institution because I have newly discovered some of the delicious pastries they make. As usual their tarts, flans and croissants are excellent. The four pastries that I have decided to focus on include their: Gateau Basque, Peach Danish, French Macaroons and Bostock. The Gateau Basque is a small cake with a shortbread-like pastry. 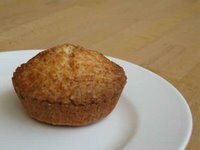 The pastry is tender and flaky and the top of the Gateau Basque is crispy and sprinkled with medium sugar. 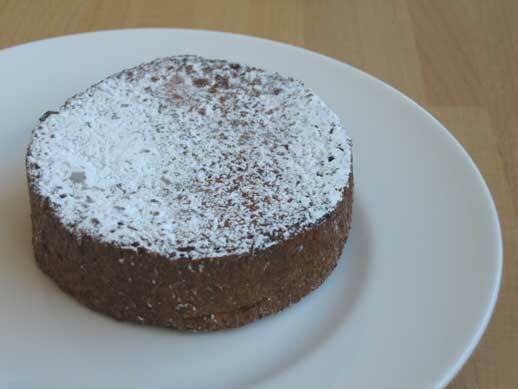 The centre is filled with a delicious pastry cream, which is lightly flavoured with Pernod. It is a wonderful treat if you enjoy the flavour of anise. This pastry is a specialty since the pastry chef at Patachou is from the region of Basque and you will be hard pressed to find anything like this elsewhere in Toronto. The Peach Danish is an attractive and wonderful light and buttery pastry. 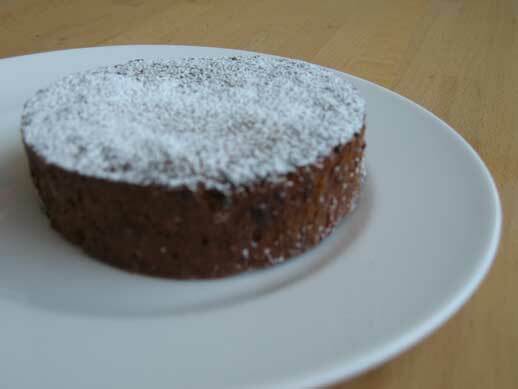 It has a delicious pastry cream and is topped with a slice of peach, a touch of crumble and is lightly dusted with icing sugar. The French Macaroons are light, crisp and classic. 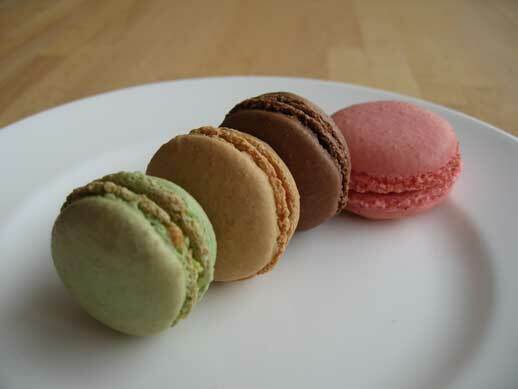 The Macaroons come in four flavours: Strawberry, Pistachio, Mocha and Chocolate, with the Mocha being my favourite. The Bostock is a round and flat buttery brioche baked to perfection with a hint of orange flower water and is dusted with icing sugar. The Bostock here is exceptional. 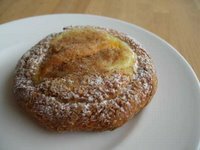 So if you are ever in Toronto or if you live in Toronto, check out some of the pastries at Patachou, it is definitely worth it. Posted by Sam at 9:55 a.m.
Great post! Thanks for reminding me of a patisserie in Toronto that I've neglected to visit. I drive by Patachou often but never seem to go in. Based on your positive review I will have to explore its delicacies!